You think a ring is an incredible accessory until you go to wash your hands and realize it’s turned your whole finger green. A result of the acid in your skin mixing with the metal of the jewelry, the stain isn’t harmful, but it is unsightly. And it’s not just one metal — experts say several types of metals can result in a green tinge. Copper is most common, but silver and gold metals can cause discoloration too. Here’s how to avoid the mean jewelry greens. OK, so this solution is easier said than done, but it’s a start. In this situation, the saying “You get what you pay for” applies. 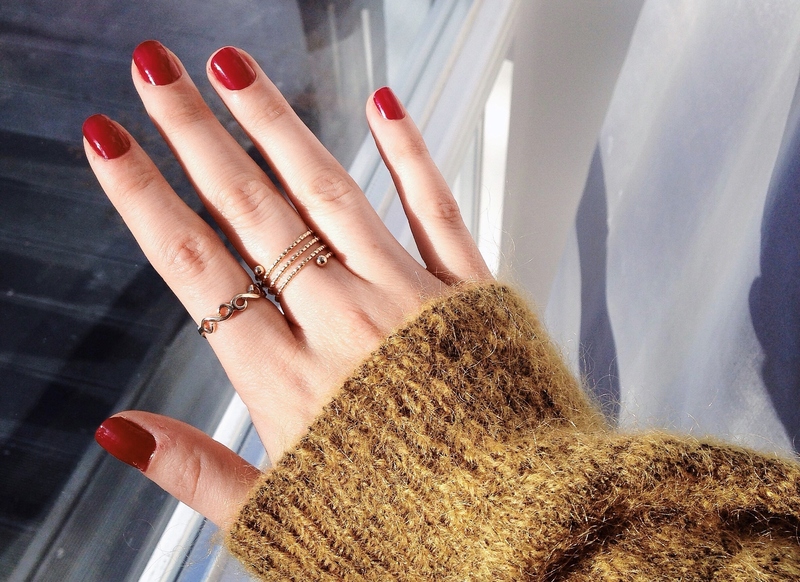 A cheap ring may look cute and it seems affordable, but it’ll cost you in other ways. This type of jewelry will tarnish quickly and leave behind a green stain when worn. Stainless steel, platinum and rhodium-plated jewelry, which includes almost all white gold, are less likely to react to your skin. Look for these specific metals when shopping for rings and decrease the chances of buying jewelry that will turn your finger green. Keep soaps and lotions away from your ring finger if you want to prevent the green-finger effect. Something as simple as removing rings before washing your hands or before taking a shower can help. Avoid wearing rings in the pool as well. The chlorine from the swimming pool will damage your jewelry and leave the annoying stain. If you can’t stay away from accessories prone to leaving a dark stain, try clear nail polish as a quick fix. Apply a polymer coating to your ring and let dry. This creates a barrier between your skin and the metal so that the ring can’t turn your finger green. Just remember to reapply the coating often because it tends to wear off. A version of this post was originally published in August 2016.